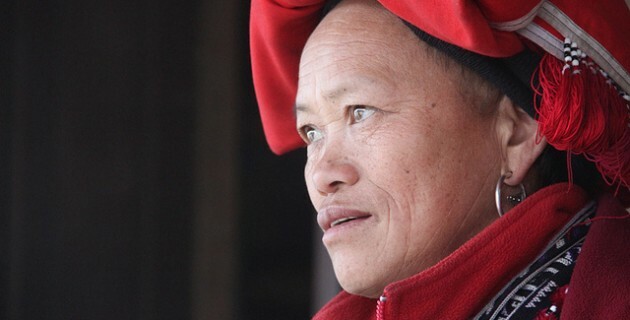 Women of Ta Phin 1: Mrs Ly May Chan - A series of images and tales from Viet Nam. 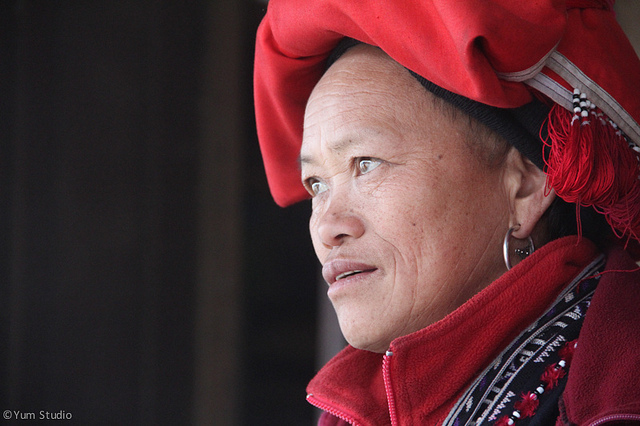 This is Mrs Ly May Chan, the women's leader of Ta Phin village. She knows everyone in the village, she knows everything that happens in the village, she knows that the future for the young people in the village is tied to embracing tourism, she knows that to protect her culture she must share it with the world. I traveled to Vietnam with my beautiful long-time friend Lynden Baxter. We met while at uni, young radical feminist types with opinions* on everything. We still do, however we are better now at enacting the changes we want to see/be/report on. We wanted to see the world unseen, we wanted to be put to work. We wanted to be able to share our skills and use them to support women in Viet Nam. We went thinking that creative media (Erin) and the words that go with them (Lynden) would be a start in developing a relationship with these women. We were trepidacious about being seen as 'do-gooders'. Not sure why exactly. Surely being a do-gooder is way better than being a do-nothing or worse a do-badder. It was paternalism we were concerned about. We were adamant that we would ask the women directly what they wanted, and work it out from there. We approached a number of Not for Profits and charities working in Viet Nam, however they wanted only either cash donations or for us to fit in as physical labour volunteers in projects already running. Neither options worked for us (see above *radical feminist types with opinions). We fell in with Julian Silverman from RMIT and Dang Xuan Son from Footprint Tours who told us about the women in Ta Phin. 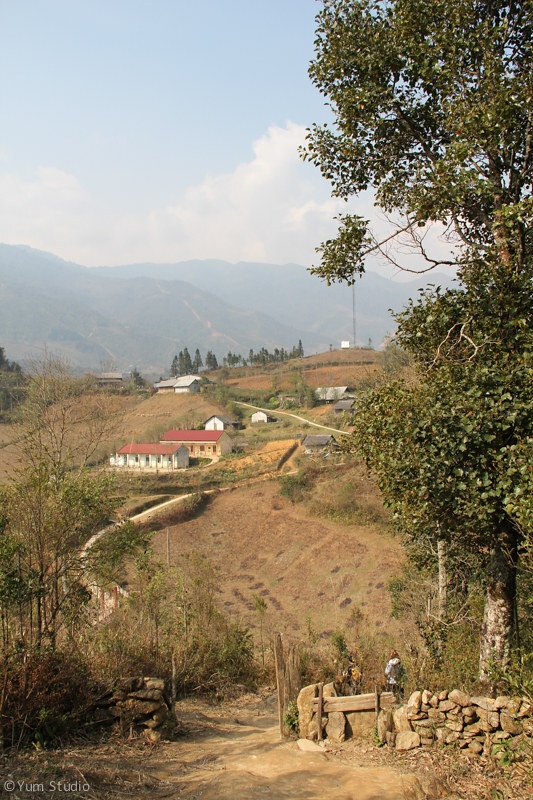 Julian visits often and created the village website while Son continues to motivate and engage tourists to Viet Nam in sustainable tourism, something the women in Ta Phin are working hard to build in their village. Mrs Ly May Chan tells us the women are the bosses of tourism in Ta Phin, she tells us about the homestays, the crafts they make to sell, the herbal baths, and she introduces us to the women in the market. She tells us about the beauty of this place and then she shows us. Mrs Ly May Chan is fearless. We represent a culture of consumerism, one that can either crush or support. We ask what can we do to help protect her culture. She says share our beautiful culture, our beautiful people, our beautiful home. She says tell your people in Australia that we are ready to welcome them, we want them to come and visit, we want them to come and bring their business to the good people of Ta Phin. She doesn't have to tell us twice. We have held an exhibition of the images we created, screened the film we made and raised some money to take back to help make the market bigger. We are heading back to Ta Phin later this year. Want to come? We will be releasing more images and stories of the women of Ta Phin on this blog, you can sign up at top right. 5 Responses to "Mrs Ly May Chan – sharing her culture to protect it"
So beautiful, so simple. Are we all yearning to get back to the days of simplicity? Growing, sustaining, just being and enjoying. Beautiful pics and a great idea to support. Have you thought about a possible Pozible project to help raise a bit more cash? beautiful pics and gorgeous people. We are a creative media company who work often with different communities and use social media as social broadcasting. We are currently developing stage two and will create a kickstarter campaign as we think this project has international appeal. We will post the link as soon as it is open. Wow. Sounds so amazing. Good luck with the kickstarter campaign. Looking forward to watching it all happen.